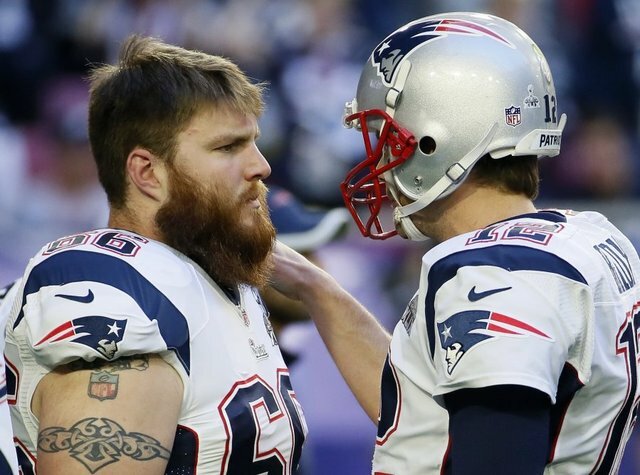 The Patriots offensive line was dealt a huge blow today when the team announced they placed starting center Bryan Stork on injured reserve with a designation to return. Stork is suffering from the aftermath of a concussion and is eligible to return to practice on October 21. Stork can't play until the Week 9 matchup against the Washington Redskins at the earliest. It's reportedly his third concussion since last year. Stork's play on the O-line was the true turning point of last season, as the rookie solidified a line that was in turmoil through the first month of the campaign. In his place, veteran Ryan Wendell figures to get the start against Pittsburgh, where he'll likely find himself flanked by two rookies in Tre' Jackson on the right and Shaq Mason on the left. There also remains the possibility Josh Kline figures into the game at either guard position, while rookie center David Andrews could also potentially see some action tomorrow night.